World premiere from Heidelberg at Print China: With cloud-based web-to-pack platform boxuni simple, fast, inexpensive for individual packaging. Chinese packaging manufacturer Xianjunlong Colour Printing and Heidelberg are leading the way in creating a digital ecosystem for the Chinese print media industry by launching a web-to-pack platform in China. boxuni: Printers, designers, and end customers benefit in equal measure from new web-to-pack platform. Heidelberger Druckmaschinen AG (Heidelberg), together with one of China’s leading packaging manufacturers, Xianjunlong Colour Printing Co. Ltd, based in Shenzhen, is launching the world’s first web-to-pack platform -boxuni- and digital production solution for designing and ordering customized folding cartons. 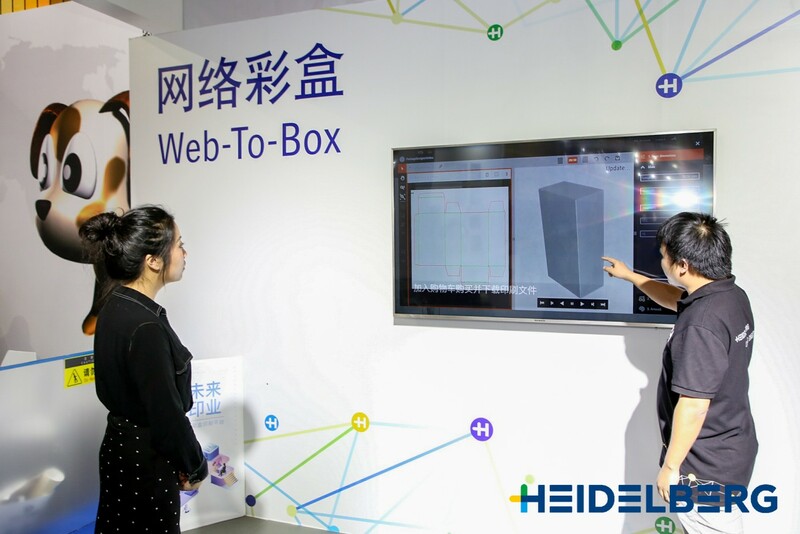 The platform connects packaging designers, print buyers, and producers with unparalleled efficiencies and leverages unrivaled software and technical capability from Heidelberg with Xianjunlong’s strong footprint in the Chinese packaging industry. As the first boxuni production partner, Xianjunlong has implemented a fully integrated web-to-pack production line – from cloud-based online platform to printing on a Heidelberg Primefire 106 and postpress operations. 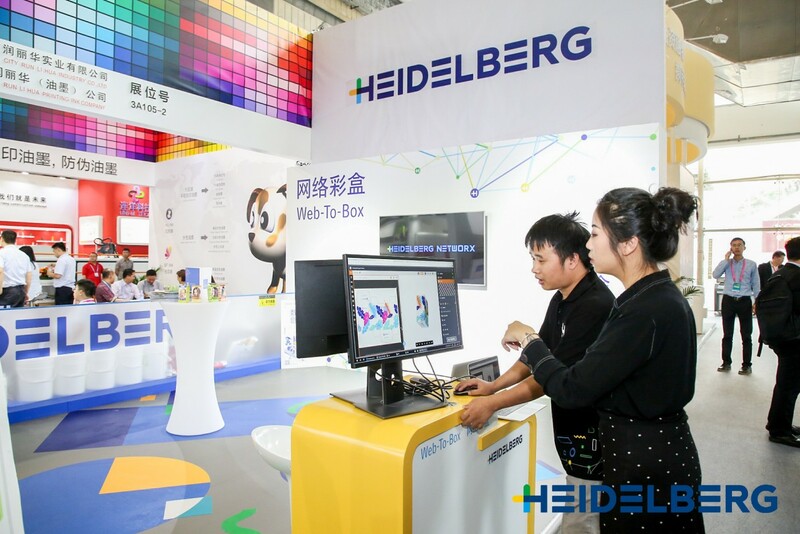 Heidelberg is showcasing this online platform at its booth at the Print China trade show, which is taking place from April 9 to 13 in Guangdong. 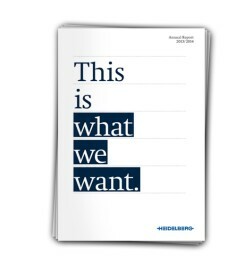 Heidelberg contributes its software know-how surrounding Prinect and its extensive experience in the printing of high-quality folding cartons. In this way, the company brings the interests of packaging designers, end users, and packaging printers together on one platform. Designers currently have online access to around 12,000 folding carton designs, with more being added all the time. This makes designing packaging that is tailored to their requirements a quick, simple, and cost-effective process. As for packaging buyers, they can order packaging designs online – customized if necessary and also in the shortest of runs – which Xianjunlong then produces fully automatically and ships. 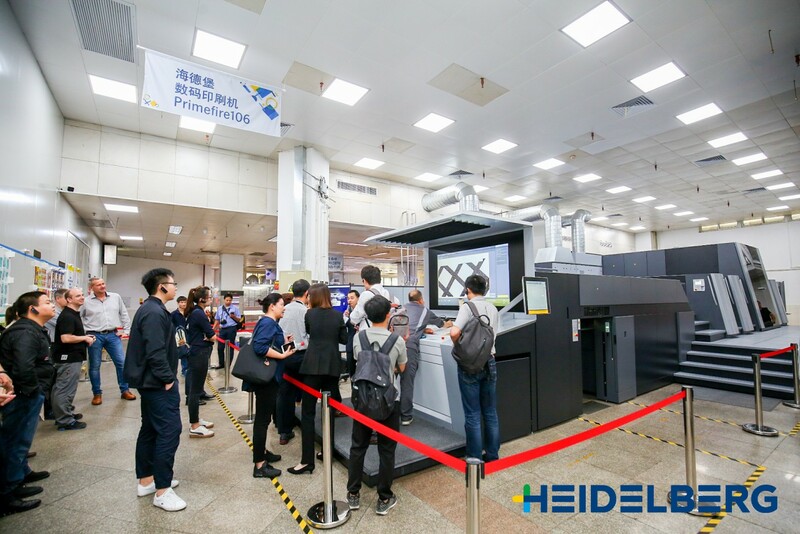 A Primefire 106 from Heidelberg – China’s first industrial digital printing system in B1 format – starts by printing the packaging that has been designed and ordered online. Once the folding cartons have been printed, postpress operations are carried out on a digital coating/foil stamping system and a die-cutting machine from Heidelberg partner Masterwork Group Co., Ltd. Xianjunlong thus offers a complete production chain for digital packaging printing. 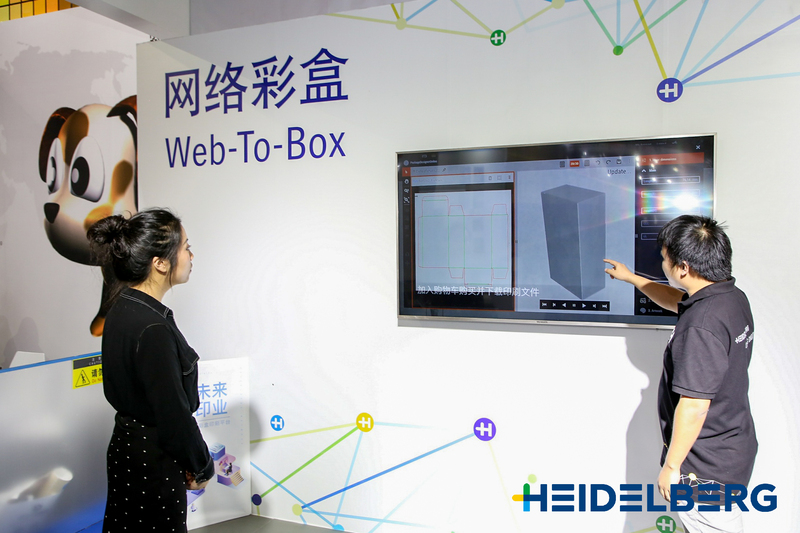 Heidelberg is also leading the way when it comes to creating a digital ecosystem for the packaging market in China’s print media industry. The next step is to give print shops the opportunity to link their products and services to this platform. For the first time, it will then be possible to use a cloud-based platform to produce folding cartons in a standardized, highly automated process with wide coverage in China. “It’s the first time for the company that we’re working together with a customer to invest in a new business model, which will drive further growth in the packaging market. We are intending to generate added value for the various industry stakeholders by creating a digital ecosystem. And by investing in a Heidelberg Primefire 106, Xianjunlong is underlining the importance of our industrial digital printing system for implementing new, data-driven business models,” says Professor Ulrich Hermann, Management Board member and Chief Digital Officer of Heidelberg. 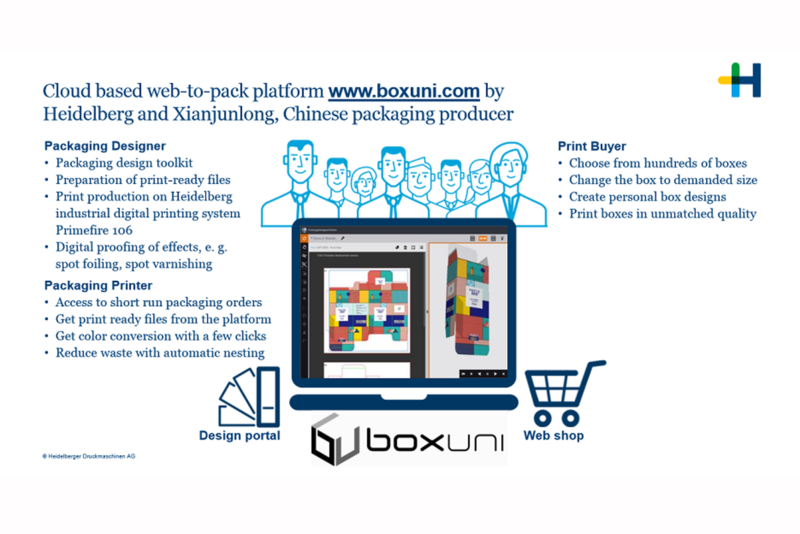 “We’re expecting the boxuni web-to-pack platform to revolutionize China’s packaging market. In the future, designers, print buyers, and printers will all benefit from a highly automated, standardized process that will ultimately eliminate the need for correction cycles and coordination processes. We’ll use this digital business model to ensure the Primefire is used to its full capacity on a cost-effective basis”, adds Mr. Zhuang, Xianjunlong Colour Printing management team member. 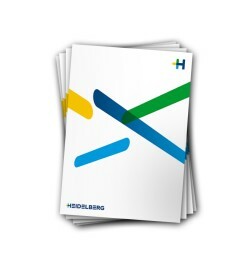 Heidelberg and Xianjunlong are organizing an open house to coincide with Print China. Trade show visitors who make the trip to the packaging manufacturer’s factory, which is located a two-hour drive away in Shenzhen, will be able to see a complete, integrated value chain for digital packaging printing – from creating a potentially customized folding carton and entering orders in the web-to-pack platform to printing on a Primefire 106 from Heidelberg and performing postpress operations to finish print orders ready for shipping. Heidelberg and Xianjunlong are expecting the open house to attract a total of over 1,000 visitors. “China is the world’s largest market for folding carton production. It is worth over 30 billion euros and is growing at an annual rate of around 5 percent,” says Stephan Plenz, member of the Heidelberg Management Board responsible for Digital Technology. 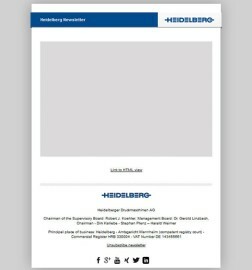 “China in particular is seeing a growing demand for short runs and even more customized packaging of very high quality, the perfect fit for the Heidelberg Primefire 106. We consider this the next step in a trend that will create further impetus for growth in the highly promising digital packaging printing segment,” he concludes. 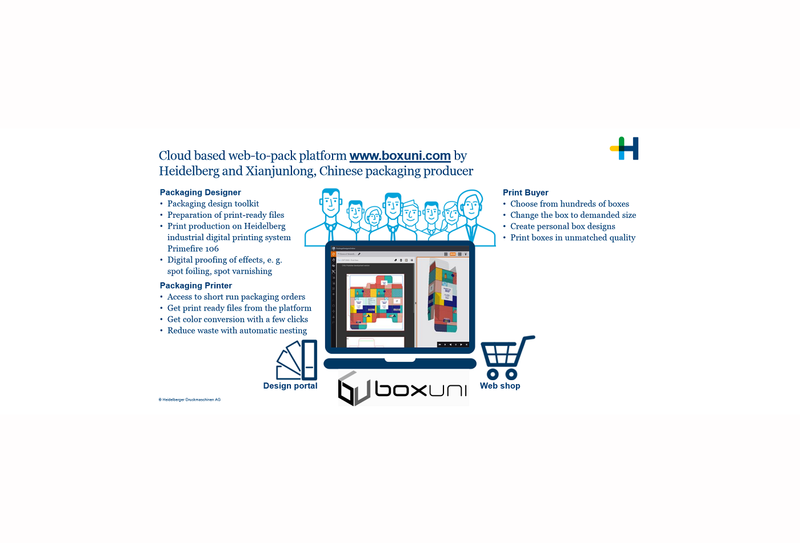 Figure 1: World premiere from Heidelberg at Print China: With cloud-based web-to-pack platform boxuni simple, fast, inexpensive for individual packaging. Figure 2: Chinese packaging manufacturer Xianjunlong Colour Printing and Heidelberg are leading the way in creating a digital ecosystem for the Chinese print media industry by launching a web-to-pack platform in China. Figure 3: Open house at Xianjunlong Colour Printing: The company puts China’s first industrial digital printing system in B1 format into operation– a Primefire 106 from Heidelberg. Figure 4: boxuni: Printers, designers, and end customers benefit in equal measure from new web-to-pack platform.